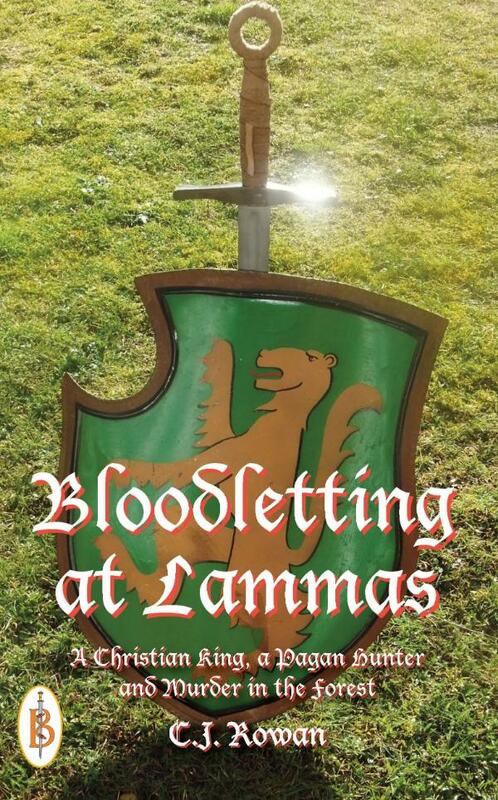 An historical tale woven around the very different lives of a Christian Norman King and a Pagan Saxon Peasant. In 1099 William Rufus, King of England was shot dead in the New Forest. At the time men said it was a hunting accident, while others whispered it was a secret assassination. But what if there was a deeper, darker secret behind the murder? So, why did Rufus die? Was Rufus the devil that the church painted him? Was it an accident, a plot by Henry his brother or was he a willing divine victim? Academics have disagreed for years, but now C.J. Rowan has gone back to original sources to weave a tale of credible detail and historical accuracy that paints a very different picture. This story follows the life of Ranulf, a Pagan huntsman and how it intertwines with Rufus. At first, Ranulf falls for Rufus's charisma as a soldier, but when Rufus gets Edith, a Saxon maid, pregnant he tasks Ranulf to hide her from the court. Finding himself drawn to Edith, Ranulf becomes disenchanted and turns instead to serve Rufus's brother Henry. Cunning Henry uses Ranulf's Pagan beliefs to convince him that Rufus has to die. England is experiencing bizarre weather and, according to the Old Ways the blood of a divine victim is needed to calm the Gods. And so the king must die! After a successful career specialising as a palliative care therapist, Rowan studied medieval history at Exeter University pursuing a lifelong interest in this area with particular specialism in the 10th and 11th centuries. She now lives in Brighton with her husband, two dogs and four frogs. Chapter One. 1069 The Ides. Chapter Four. 1079 After the Marian Mass Days. Chapter Five. 1080 Lamprey Pie. Chapter Twelve. 1089 When Woden rode by. Chapter Thirteen. 1090 Conan's Leap. Chapter Eighteen. 1094 While the fishes were warmed by the February sun. Chapter Twenty One. 1098 Trials and Tribulations. Chapter Twenty Two. 1099 Death and Burial. Chapter Twenty Four. 1100 Lammas. Chapter Twenty Five. 1100 Divine Victim.